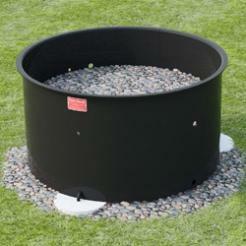 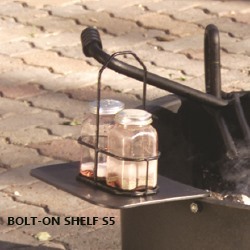 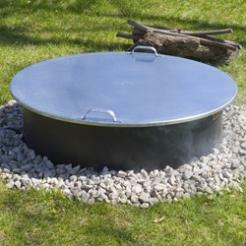 FX-30/18 Series Campfire Ring has a 30-inch inside diameter, a 32-inch outside diameter at the top flange, and taller 17-3/8" side height. 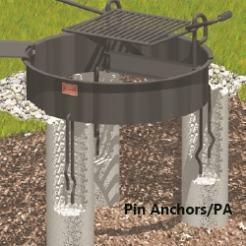 FX-30/18 Series firerings come with stationary pin anchors (PA) that are embedded in concrete footings to secure the ring on the ground. 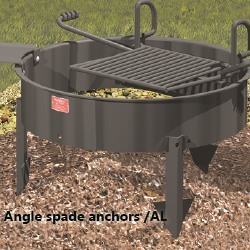 OPTIONAL: Model DIG-Us removeable, drop-in cooking grate.